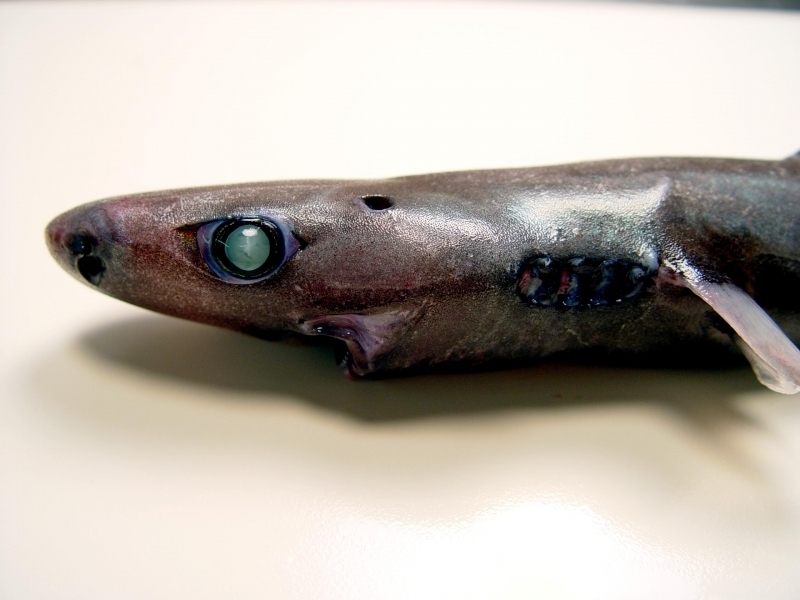 The Dwarf Lantern Shark, the smallest shark in the world is a harmless krill eater just like the Whale Shark, the biggest shark in the world. 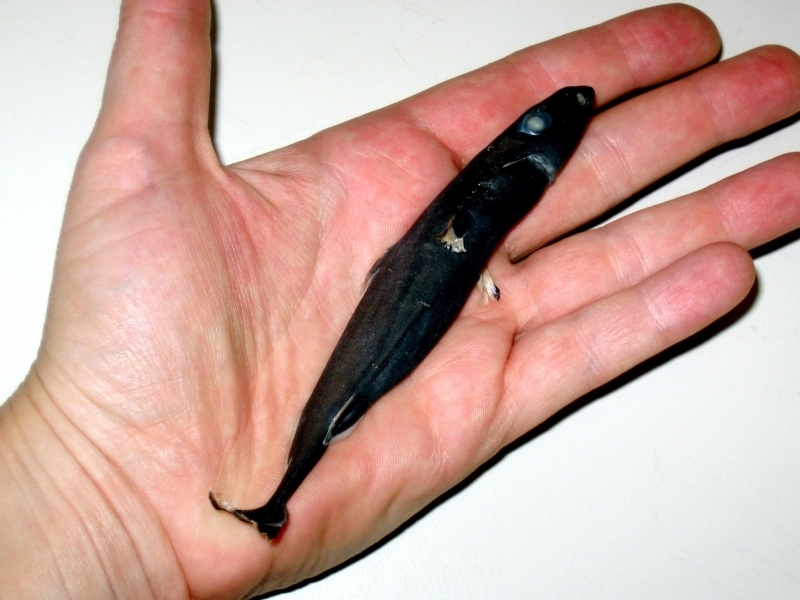 A major difference is the Whale Shark grows to an average of 41 feet & an average weight of 21 tons and the Dwarf Lantern Shark barely reaches 6 inches in length & weighs only 0.5 of an ounce on average. 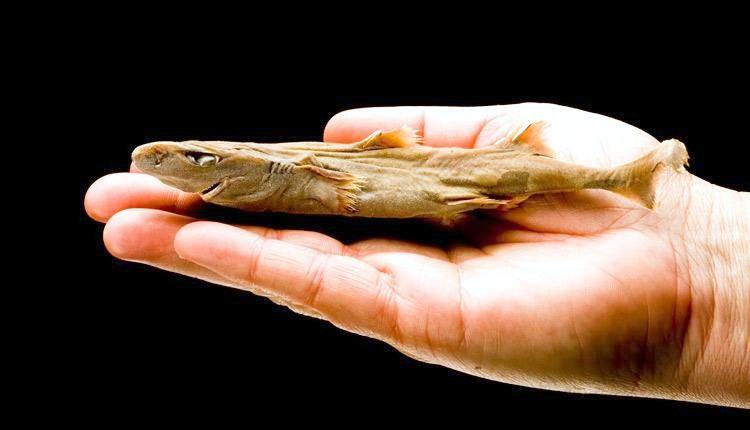 They can grow up to just over 8 inches but are typically smaller. 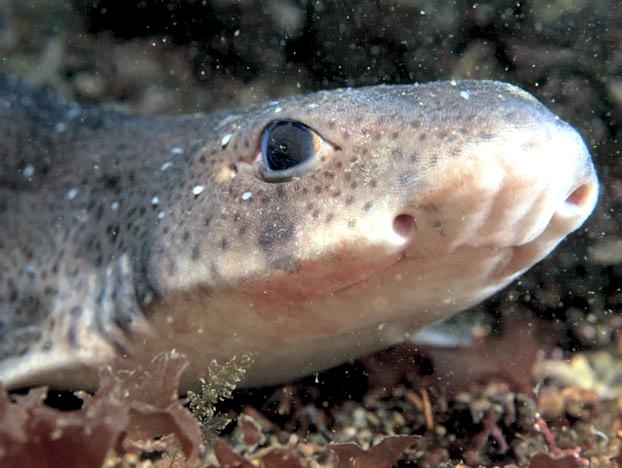 Like in most shark species, the females are larger than the males. 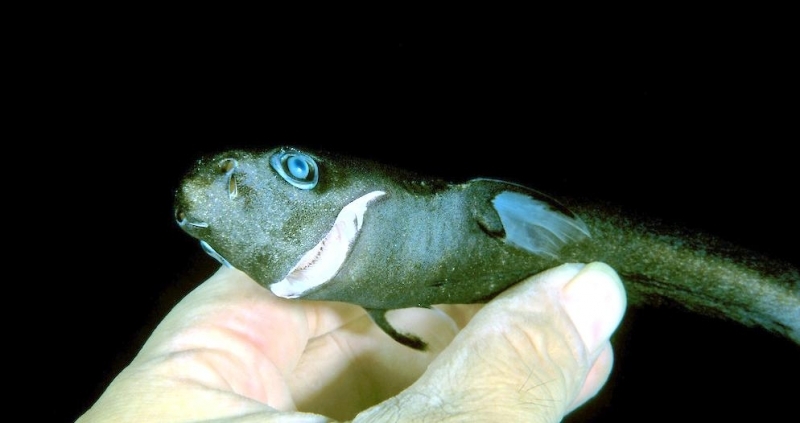 Only discovered in 1964, the Dwarf Lantern Shark was named in honor of noted shark expert, biologist Dr. Perry W. Gilbert. Their heads take up almost a third of their bodies and their eyes are huge in proportion to the rest of their bodies. 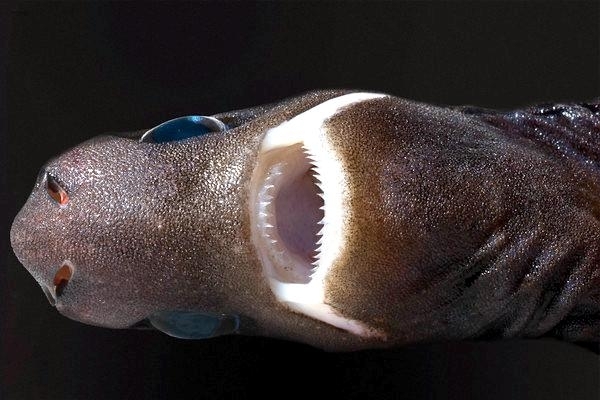 Their mouths are filled with 55 to 68 tiny teeth, perfectly designed for cutting and slicing. 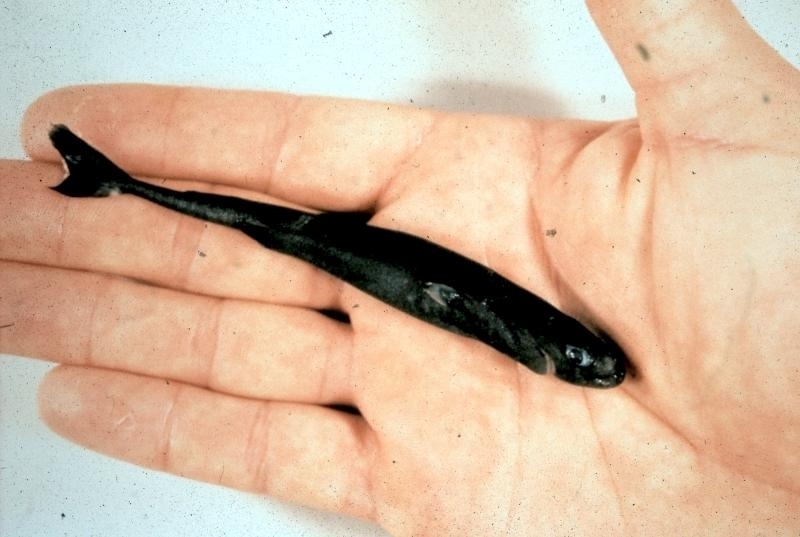 Their main diet krill, are tiny crustaceans less than half an inch long. 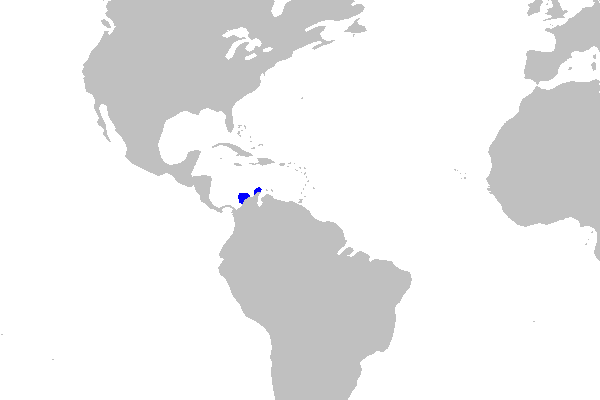 As deep water sharks, they were first discovered by Ichthyologists Dr. Stewart Springer and Dr. George H. Burgess while they were trawling for the US Fish and Wildlife Service in the Caribbean Sea off Columbia. 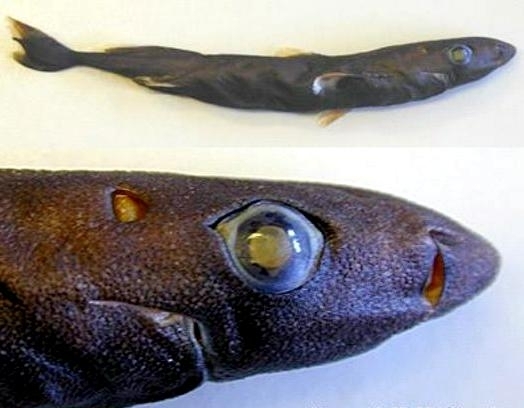 Dwarf Lantern Sharks have to-date, only been found in a very small area of the Caribbean Sea off South America. 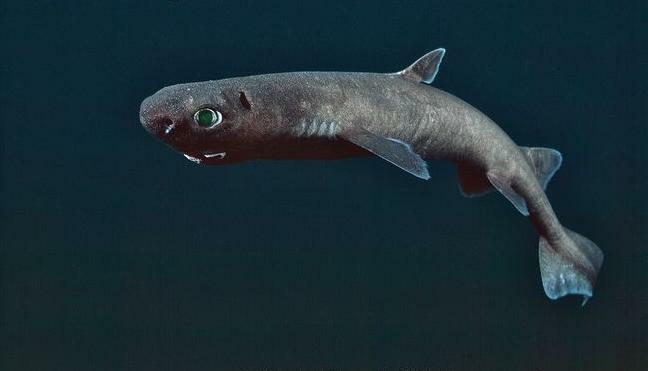 A member of the dogfish family, Dwarf Lantern Sharks have been found at depths varying between 1,000-1,500 feet deep, which is in the range of the lowest limits where sunlight reaches. At 2,000 feet deep, all is total darkness as sunlight does not penetrate. 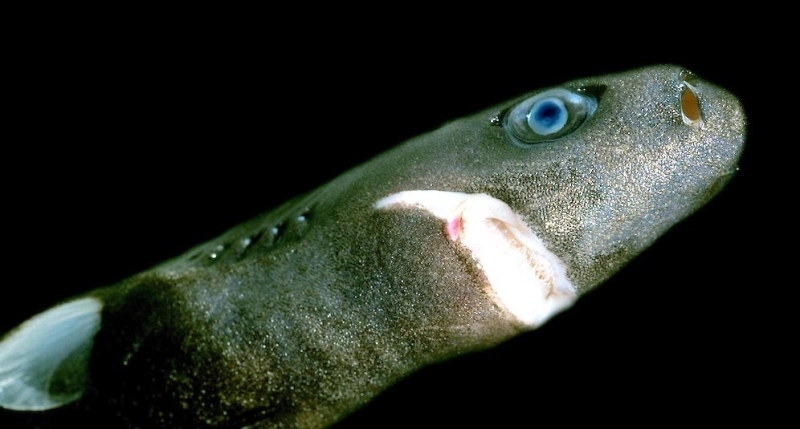 Dwarf Lantern Sharks have bio-luminescent properties like 90% of all deep sea creatures. They have an impressive array of photophores, mainly on their undersides. 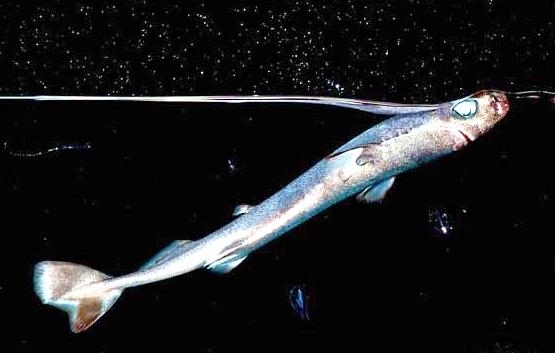 Many deep-water fish glow in the dark, some to attract prey and some to repel predators. 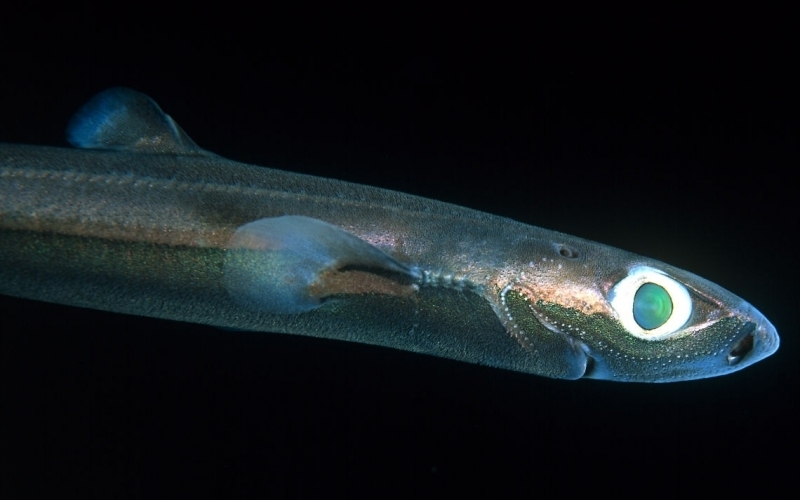 Not much is known about the rare Dwarf Lantern Shark, but it is believed their bio-luminescence is there to protect them from deeper water predators. While you might think the light would make them stand out, in effect it does the opposite because any sunlight filtering through the deep waters is above them. 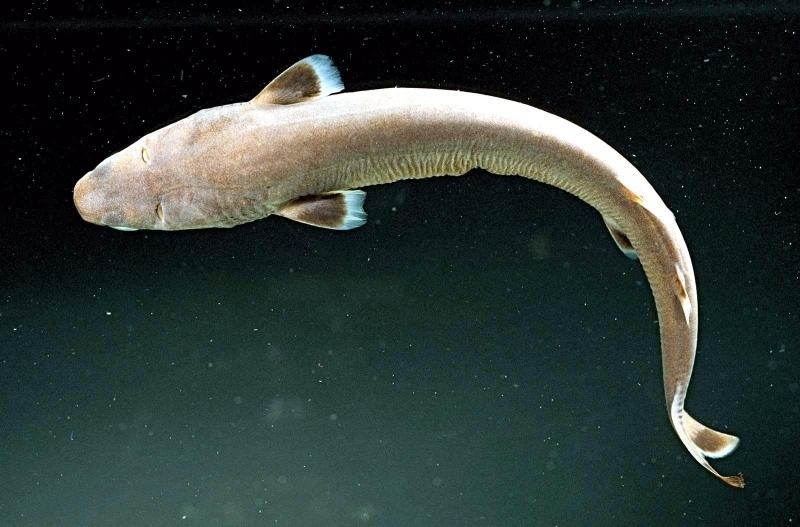 A predator looking up from below is less likely to see them. 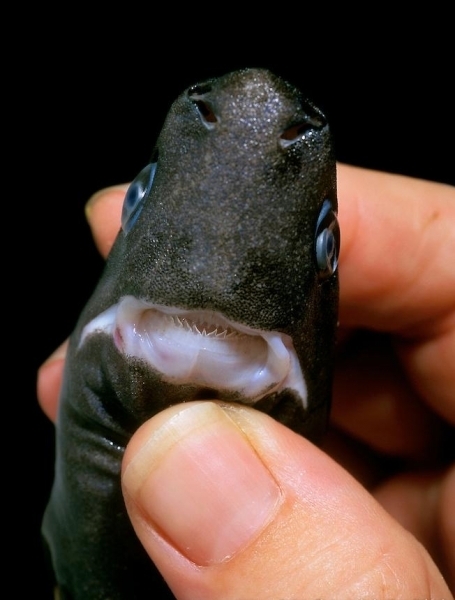 Dwarf Lantern Sharks reproduce aplacental viviparity, generally giving birth to only 2-3 pups at a time. 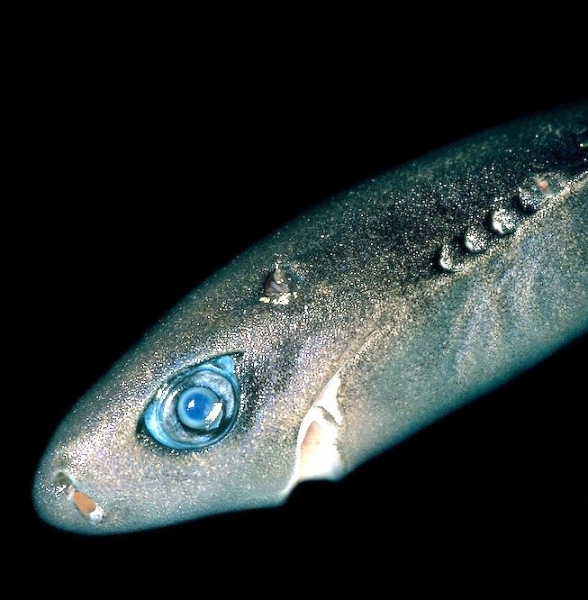 While this a very low rate of reproduction for a fish, nothing is actually known about the scarcity or otherwise of Dwarf Lantern Sharks. 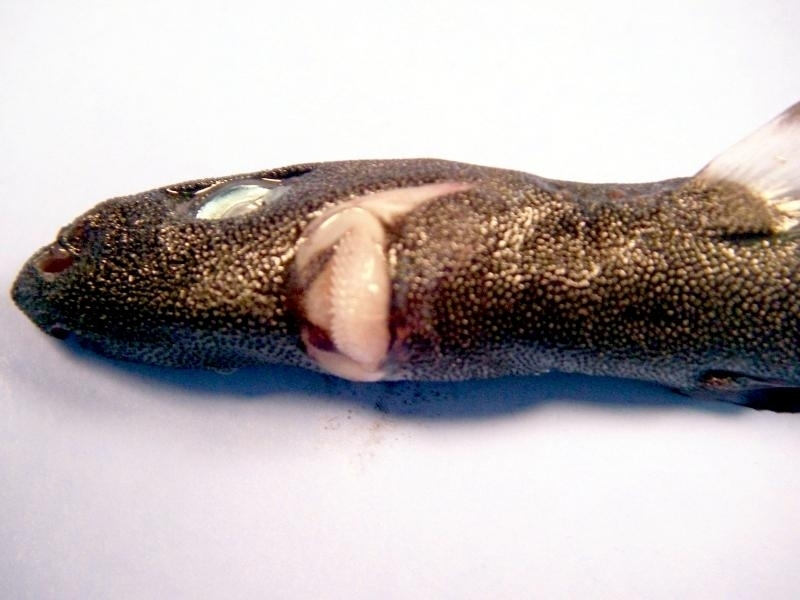 While they are occasional dredged up as a by-catch by commercial deep sea fisheries, they are discarded as their size makes them of no commercial value. 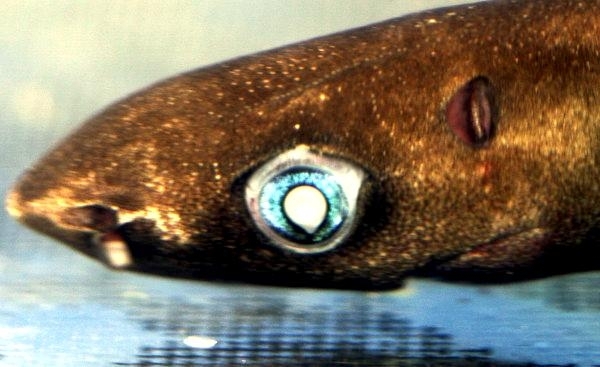 They live at such great depths, they are hardly seen by humans unless they are accidentally fished out of the waters.